Berlin, Hamburg, Munich – the regional groups organise excursions to (German) cities. View the Bundestag (the German Federal Parliament) in Berlin; admire the Frauenkirche (Church of Our Lady) in Dresden; enjoy idyllic Heidelberg. Fascinating insights into German history, politics and culture. 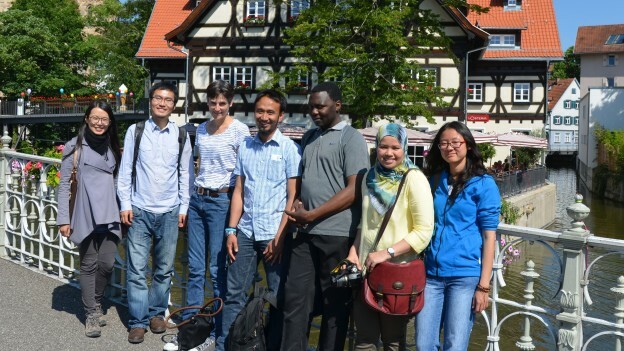 With DAAD Alumni & Friends, scholarship holders and alumni discover the many facets of German cities. Our members from the regional groups set off for the weekend with ten to twenty scholarship holders: through high-rise canyons, to medieval city centres, through nature reserves, to the most beautiful vantage points. Apart from trips within Germany, there are also trips to Brussels. After all, we would like scholarship holders and guest academics to see Germany as part of the European Union. 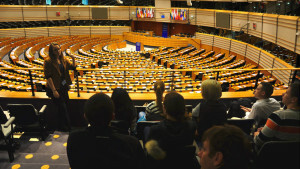 This is why there is a focus on the European institutions and a visit to the EU parliament. But this still leaves time for sightseeing.